Low-fat diets vs. low-carb diets ― it’s a frequent discussion about which one is better. One asks you to give up foods like white pasta, white bread, and baked goods and the other wants you to avoid full-fat cheese, red meat, and butter. If you want to shed a few pounds, you may be wondering which you should try. We’ve got information on each to help you choose which diet is best for you, or you may decide not to go with either one. If you go on a low-fat diet, the goal is to limit how much fat you eat — the idea being that if you consume less fat, you’ll lose weight. Researchers have found that when we consume too many fatty foods, the result is often weight gain. Although potatoes aren’t high in fat on their own, they are often served with butter and sour cream — both of which are typically high in fat. Potato chips, red meats, and processed meats are typically high in fat as well. Foods that were associated with maintaining a healthy weight included vegetables, whole grains, fruits, nuts, and yogurt. Why do high-fat items tend to cause weight gain? Because fat has more calories per gram, so when you eat high-fat food, you’re typically getting more calories than if you eat the same amount of low-fat food. Fat gives you about nine calories per gram whereas protein and carbs provide about four calories per gram. Fat is also easily stored in the body — estimates are that about 95 of every 100 calories of fat are stored in the body whereas 100 calories of protein will end up as 70 calories stored. Fatty foods tend to be less satiating than other foods, so we’re compelled to eat more of them — and it doesn’t help that they taste so good. If you go on a low-fat diet, you work to avoid all high-fat items, reading labels and choosing only low-fat options while choosing lean meats, low-fat dairy, low-fat desserts and cooking methods that avoid high-fat oils. Low-fat diets have been recommended for years to help people lose weight, mostly because by switching to a low-fat diet, it’s assumed that you will consume fewer calories. Studies have shown that it can work, although the gains may be small. In a 2012 review, for example, researchers analyzed 43 studies and found that diets lower in total fat were associated with lower relative body weight, lower body mass index (BMI) and lower waist circumference. They also found that greater reductions in total fat intake were associated with greater relative weight loss. The researchers concluded that lower total fat intake led to “small but statistically significant and clinically meaningful, sustained reductions in body weight in adults,” with evidence supporting similar findings in children and young people. So, the good thing is that cutting back on fat can help you lose weight. It may also help you reduce the risk of diseases that are partially linked to fat and cholesterol, including cardiovascular disease, stroke, and gallbladder disease. There are some drawbacks, however, to a low-fat diet. For one, if you’re focusing on eating only low-fat foods constantly, you could be missing out on the health benefits of those foods that have so-called “good” fats. These are foods like nuts, avocados, olive oil, fatty fish, whole eggs and chia seeds — foods that have been shown in studies to help reduce the risk of heart disease and stroke. It’s also unclear whether eating low-fat dairy, for instance, makes you healthier. In a 2012 study review, researchers found that those who consumed high-fat dairy products were less likely to be obese and were no more likely to develop cardiovascular disease or type 2 diabetes than those who ate low-fat dairy products. In another study, researchers found similar results, with low intake of dairy fat being associated with a higher risk of developing obesity. Then, there’s the issue of what you’re eating to replace the fat you’re missing. For years, manufacturers have responded to our desire for low-fat foods by creating low-fat desserts and processed foods that in the end are often less healthy or at least as unhealthy as the fatty foods they’re replacing. Sugar is one of the main ingredients that’s gone up since the fat has gone down, and sugar is also linked with weight gain and related increased risk of disease. There is some concern that a super low-fat diet could result in low levels of important vitamins like vitamins A, D, E and K. All of these nutrients need fat to be properly absorbed in the body, so if you’re not getting enough, you could hurt your health by missing out on these important nutrients. How long can you stay on the diet? That’s another important question. A low-fat diet can leave people feeling hungry so that, in the end, they end up eating more food to compensate. Most health care authorities still believe that limiting fat intake, particularly unhealthy saturated and trans fats, is healthy for you overall as long as you don’t replace these foods with other unhealthy options. Instead, cut back on animal products and processed foods that are high in fat, enjoy foods with healthy fats and fill in the rest with fruits, vegetables, whole grain, and high-fiber foods, and you are likely to reach your weight-loss goals. If you go on a low-carb diet, the goal is to limit the number of carbohydrates you eat. Carbohydrates are sugars are starches, and they are a major food source and a key form of energy for humans. Various types of sugars, including fructose, galactose, sucrose, lactose, and glycogen, fall into the group of carbohydrates as do various types of starches. Simple carbohydrates: These consist of just one or two sugar molecules that make up the carbohydrate. 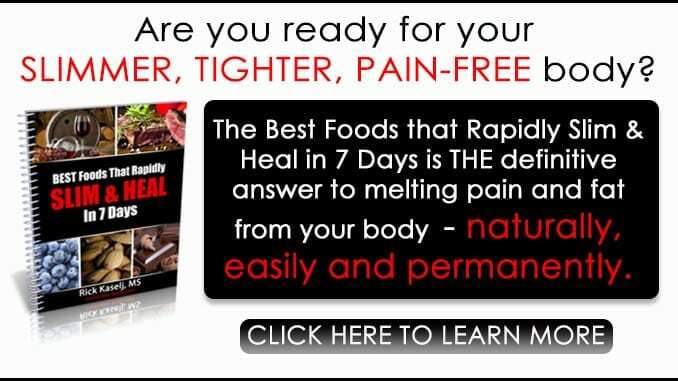 These provide the body with a fast source of energy, but that energy soon vanishes, leaving you hungry again. Examples include white bread and pasta, sugar, candy, and desserts. Complex carbohydrates: These consist of long-chain sugar molecules. Because there are more links in the chain, the body has to work harder to break these carbs down, which takes more energy. These are considered “healthier” carbs as they provide more lasting energy and don’t spike blood sugar levels. Examples include fruits, vegetables, and whole-grain pasta. A lot of both healthy and unhealthy foods contain carbohydrates but, in the modern Western diet, we are often presented with more of the unhealthy versions. This has given rise to the idea that we’re consuming too many carbs on the whole, the theory being that all these carbs have led to the current obesity epidemic. We know that simple carbohydrates, in particular, can spike blood sugar levels, which causes the body to release more insulin to help process that sugar. Consuming fewer carbs then leads to lower insulin levels, which causes the body to turn to stored fat for energy. This process, in time, can lead to weight loss. 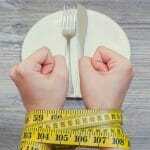 These diets also seem to have a positive effect on appetite. When people start limiting carbohydrates, they often notice their appetites go down, and they start eating less, particularly if they’re eating high-protein foods or even high-fat foods at the same time. 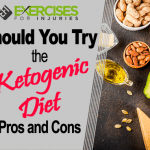 A diet called the “ketogenic” diet combines low-carb with a high-fat intake. In a 2007 study, for example, those on a low-carb/high-fat diet not only lost weight but experienced less hunger. Depending on which low-carb diet you choose, you’ll try to limit your carbohydrates to between 0 and about 60 grams per day. One gram is equal to four calories, so you’ll be limiting your carbs to about 240 calories or less on a daily basis. One medium bagel contains about 55 grams, and one mango contains about 50 grams while a banana is about 30 grams. 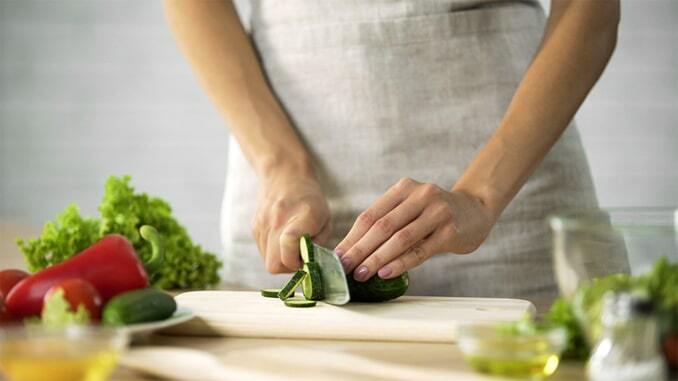 In general, you’ll cut out foods like grains, legumes, fruits, bread, sweets, pasta, and starchy veggies. Meanwhile, most low-carb diets also focus on a higher intake of proteins, including meat, poultry, fish, eggs, and some nonstarchy veggies. The biggest benefit of a low-carb diet is that it can help you lose weight fast — typically faster than a low-fat diet. In a 2007 study, a low-carb diet was a more effective weight-loss tool than a “healthy-eating” diet for both healthy participants and those with type 2 diabetes. In another study of very obese participants, those who consumed the low-carb diet lost more weight during a six-month period than those who were on a calorie- and fat-restricted diet. 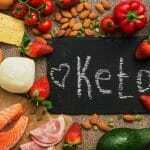 They also experienced improvements in insulin sensitivity and triglyceride levels. Indeed, like the low-fat diet, the low-carb diet also helps reduce the risk for certain diseases, including heart disease, stroke, and type 2 diabetes. Studies have shown that while on the diet, unhealthy triglycerides typically go down, “good” HDL cholesterol goes up, blood pressure goes down, and blood sugar goes down. In addition, these diets are often effective at trimming that stubborn belly fat that is particularly dangerous to health. A 20-year study of more than 82,000 women looked at the connection between low-carb diets and heart disease and found that women who ate these diets had a 30 percent lower risk of heart disease and about a 20 percent lower risk of diabetes. Other studies have shown similar results with low-carb diets helping to lower “bad” LDL cholesterol levels and blood pressure. There are some potential drawbacks with this diet, however. When you first start, if you cut carbs drastically right away instead of reducing how much you eat gradually, you could suffer symptoms like fatigue, mood swings, headaches, muscle weakness and constipation or diarrhea. 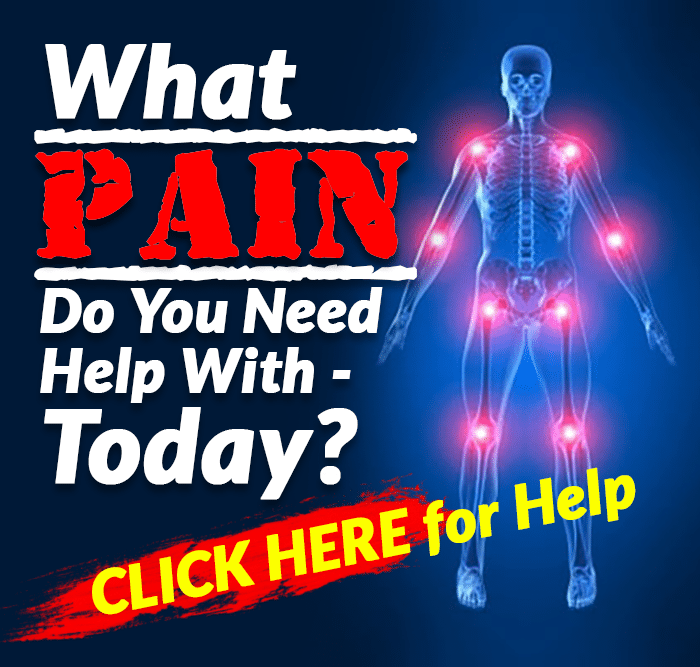 You also have to be aware of possible nutrient deficiencies. If you restrict carbs too much, you could not only miss out on some of the vitamins and minerals that you need, but you could experience digestive problems that interfere with nutrient absorption. Severe low-carb diets often cut out nutritious and healthy vegetables and fruits that, during the long run, could hurt more than help. Many low-carb diets end up being low in fiber too, which can not only affect your digestion negatively but your heart health as well. The low-fiber aspect of the diet leads many who go on it to suffer from constipation. If you’re also eating more fat in your diet, that could increase both weight gain and your risk for heart disease and other health issues. Like with the low-fat diet, you may fall victim to new, packaged foods that are advertised as “low-carb” but often contain ingredients that aren’t good for you. Low-carb diets can also affect your exercise. The body usually turns to glucose from carbs to fuel your workout, so if you’re not getting enough, the body will turn to fat for energy, but that may affect your performance. Some people experience more fatigue and sluggishness while on this diet. Finally, like any restrictive diet, this one can be difficult to stay with long-term. You may have to shop differently, prepare your food more often and adjust your recipes. You may get bored with the foods that are allowed and be tempted to cheat. In addition, we don’t have many quality long-term studies on these diets, so we don’t know how they may affect you if you follow them for more than a few months to a year. Is Low-fat or Low-carb Better for Weight Loss? Several studies have looked into these two diets lately, comparing them to see which works better. On the whole, the results show that you can take your pick as both can help you lose weight. 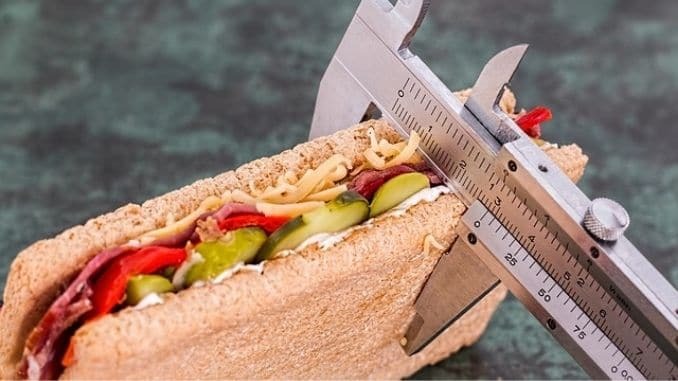 The Mayo Clinic notes that low-carb diets, especially those that significantly reduce carbs, may lead to greater short-term weight loss but, during a period of one or two years, the two even out. 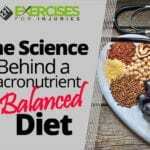 In a recent 2018 study of about 600 people followed for 12 months, results showed that there was no significant difference in weight change between the two diets. The average weight loss on each was about 11 to 13 pounds. Neither were researchers able to figure out which diet would work better for whom. Perhaps the most important finding was that for most of the dieters who were successful, they attributed their success to a “reframed relationship with food,” according to Time magazine. In other words, they started eating more mindfully, they cut back on eating out, and they focused on eating whole, nutritious foods. In the end, that may be the best approach of all.